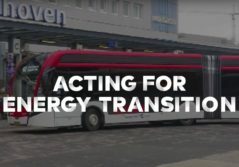 Via the “Green Deal” agreement, the Netherlands are committed to achieving zero emission public transport by 2025. It’s a short deadline! The province of North Brabant decided to take up this challenge with Transdev. 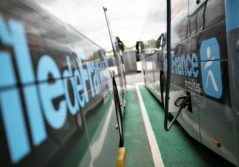 This was an opportunity for Transdev, a specialist in clean mobility, to display its know-how over a huge network of 72 lines, carrying more than 19 million passengers annually! We succeeded not only in deploying electric buses but also in boosting passenger numbers. 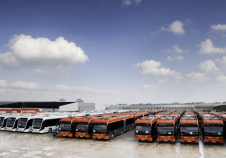 We invested in the acquisition of 43 articulated electric buses. We’ll have 203 of them by 2024. Cleaner journeys, more services and better comfort… These are our key arguments. We propose WiFi, contactless card payments and high-capacity vehicles (18 m / 59 ft. long): all solutions which help make life easier on a daily basis. Our electric buses provide services at high frequencies. They are deployed on strategic lines in Eindhoven and its surrounding urban area, particularly those serving the airport and the High Tech campus. The TNO research institute is participating in our work to design the best zero emission bus in both technical and economic terms. Other partners, both private and public, are also involved with us to help define and deploy the public transport network of tomorrow. Indeed, we believe that sustainable development can only be approached in an inclusive manner.